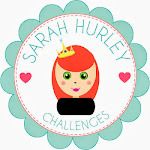 Sarah Hurley 365 (Formerly Sarah Hurley Challenges): Celebrate! 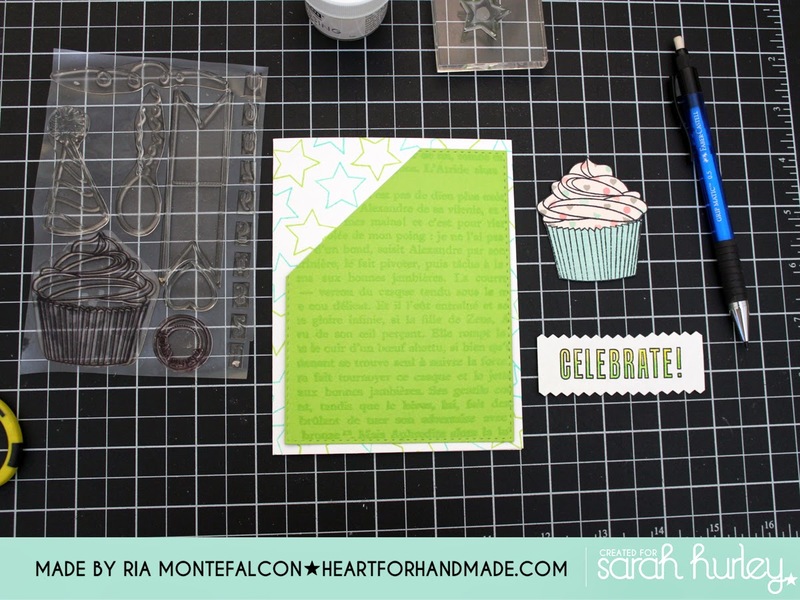 Its Ria here again for a birthday card tutorial. 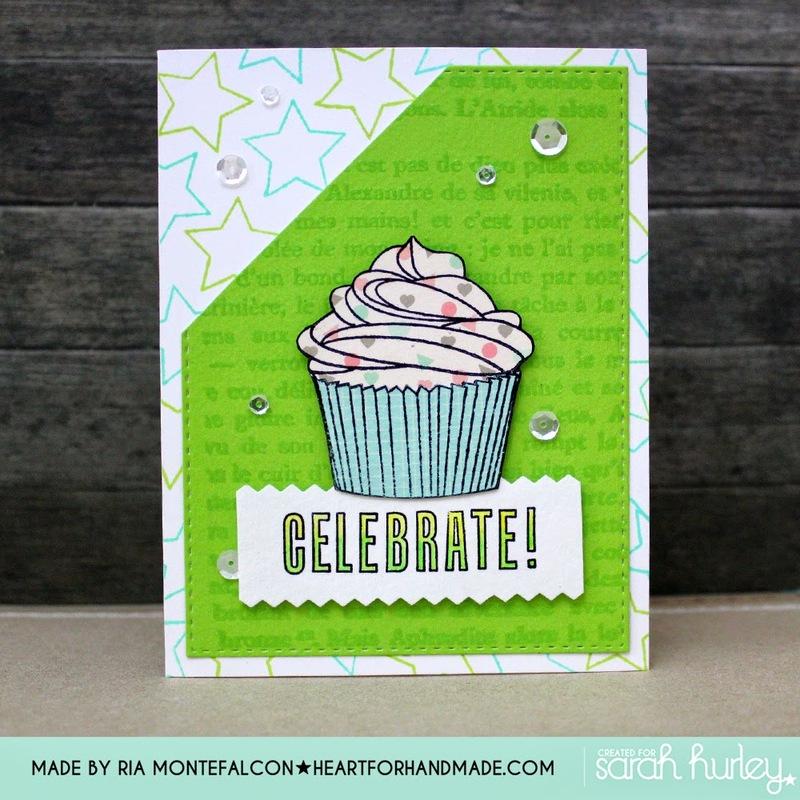 I used mostly stamping, some coloring, a little bit of fussy cutting and just full fun playing with colors. 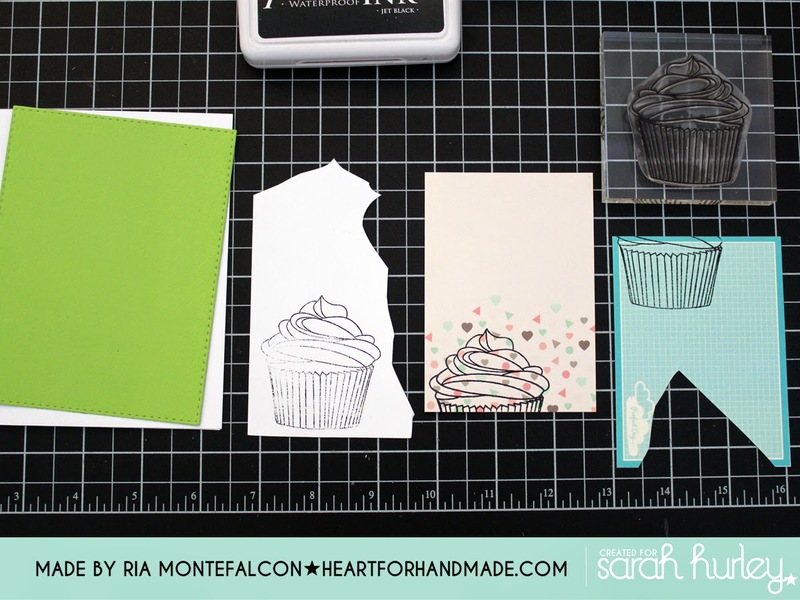 I started off with stamping the cupcake in plain white cardstock, then another to two different patterned papers. 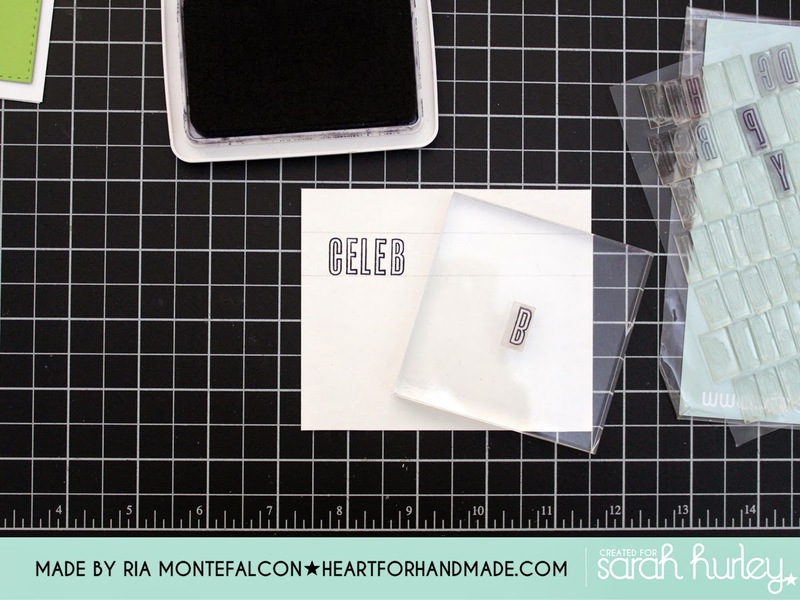 The plain cardstock will be the base later for my cut patterned papers. 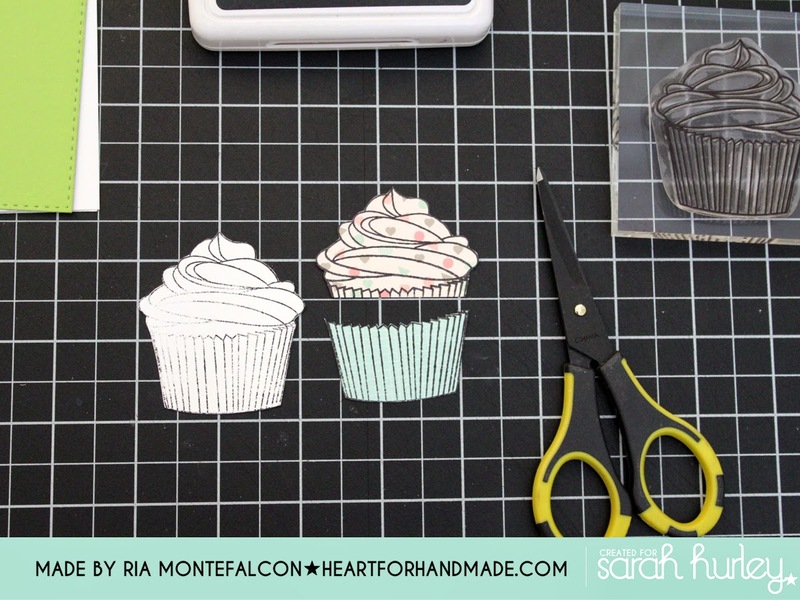 I then fussy cut the cupcake topping and paper that I will assembly later. 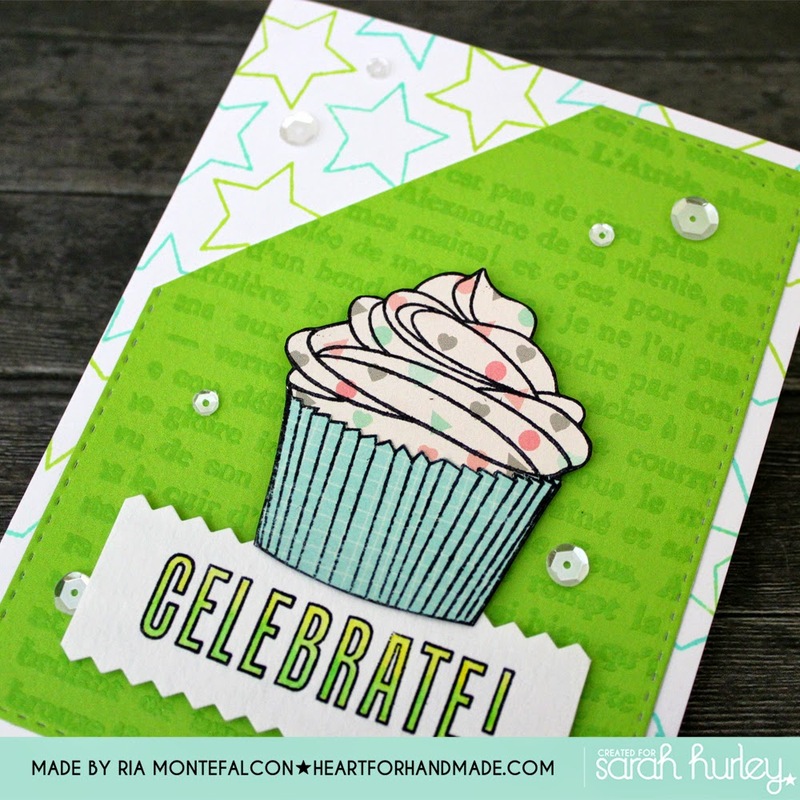 For my sentiment, I made a custom one using Sarah's Outline Alpha stamps. 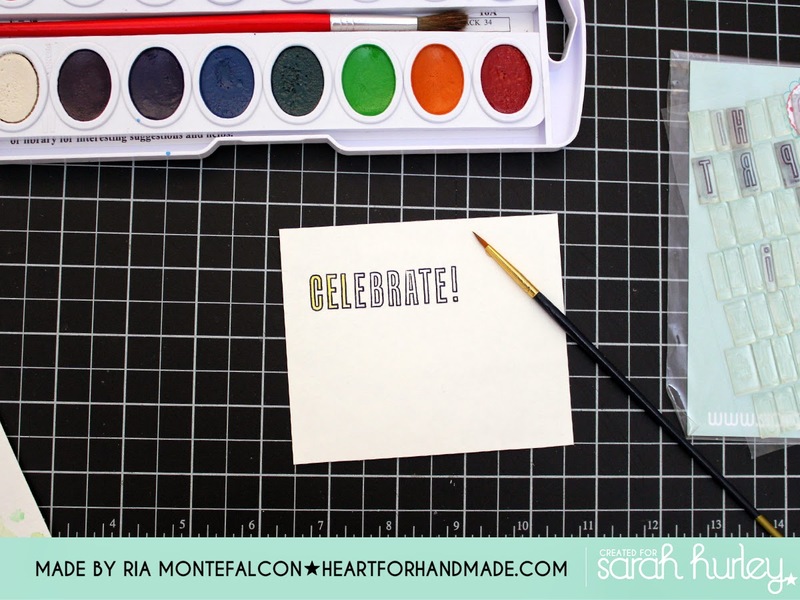 I stamped it in a watercolor paper using waterproof ink. Here's the complete sentiment that I colored using watercolor. 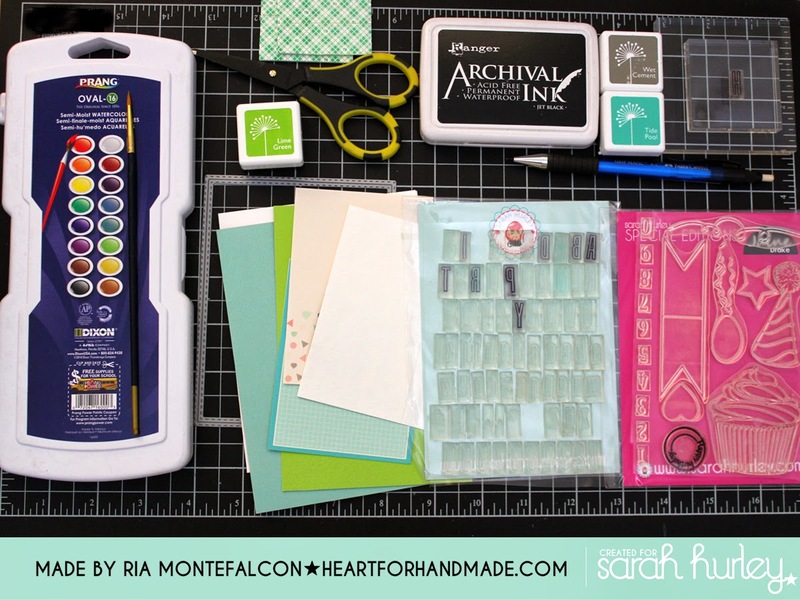 You can use other coloring medium that you may have. I just wanted to play with watercoloring today :) I put a based yellow color then later added light shade of green, then darker green. 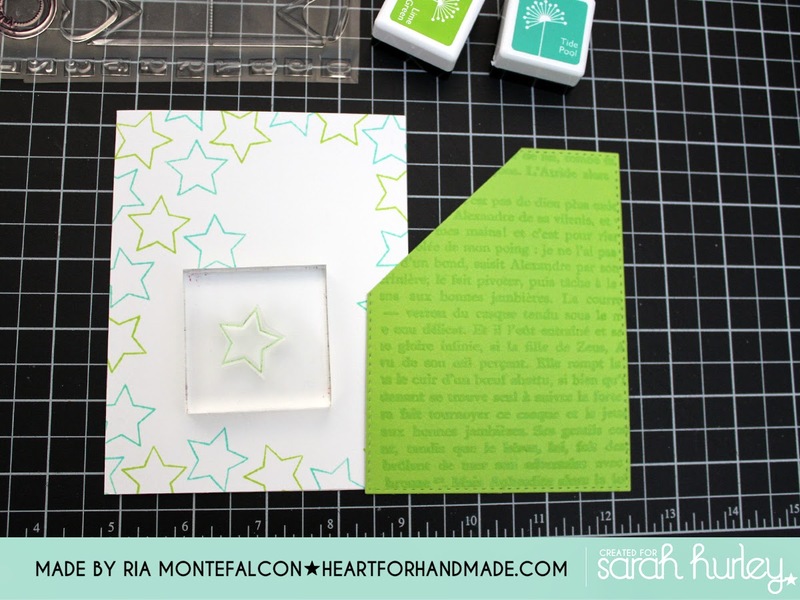 For the green background paper, I stamped it with the texture background stamp and heat embossed it with clear embossing powder. 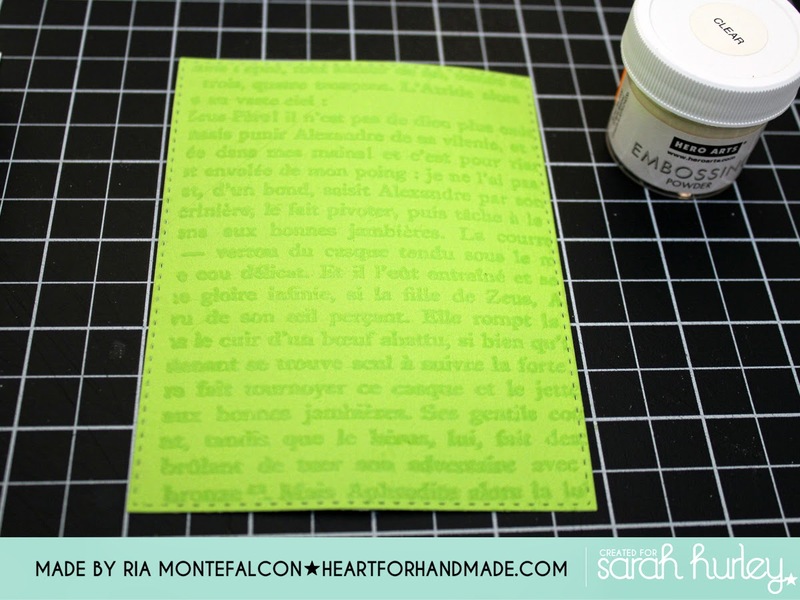 I used a die cut to cut this green paper with stitching detail on it. 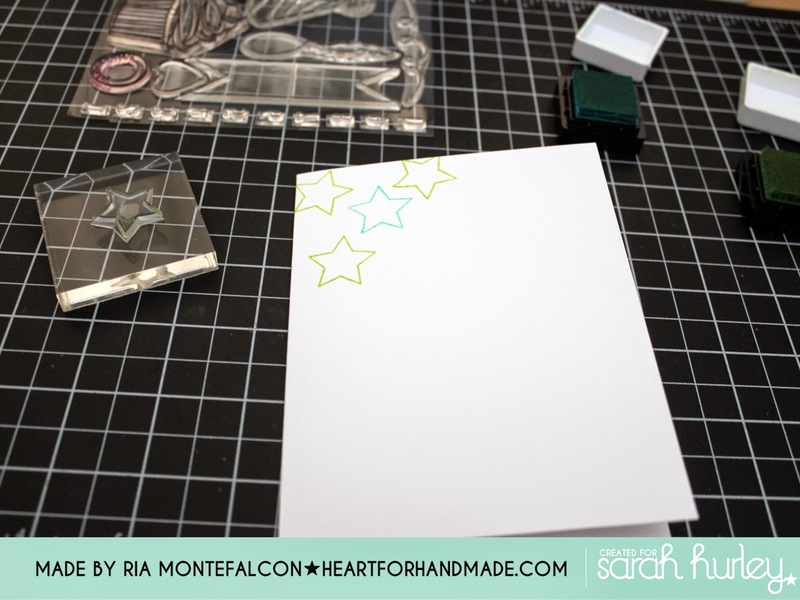 I then moved to stamped my card base using the star in Jaine's Cupcake stamp set using the Pool and Lime ink pad colors. As the stamped area being seen later will be the sides only and on the slant cut piece, I stamped only the areas being shown around the base. So here are the pieces I have so far.. So fun! That's it for now. Enjoy the rest of your weekend!